This unique engagement ring features a beautiful cushion cut diamond surrounded by a halo of brilliant fancy intense pink diamonds. 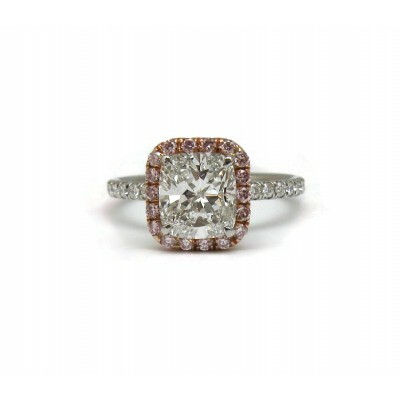 The pink color is reinforced by the pink gold halo. 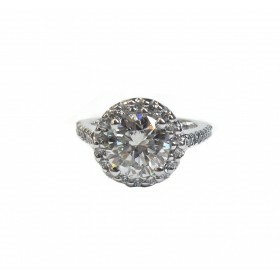 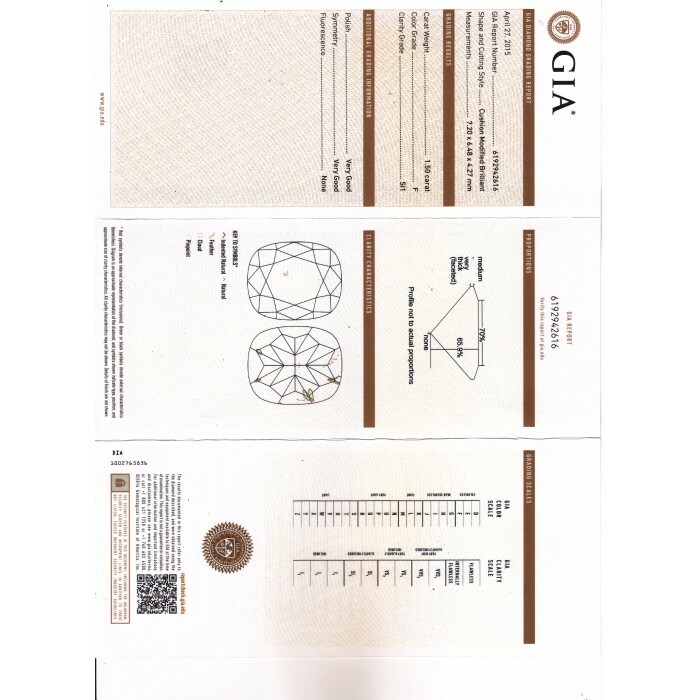 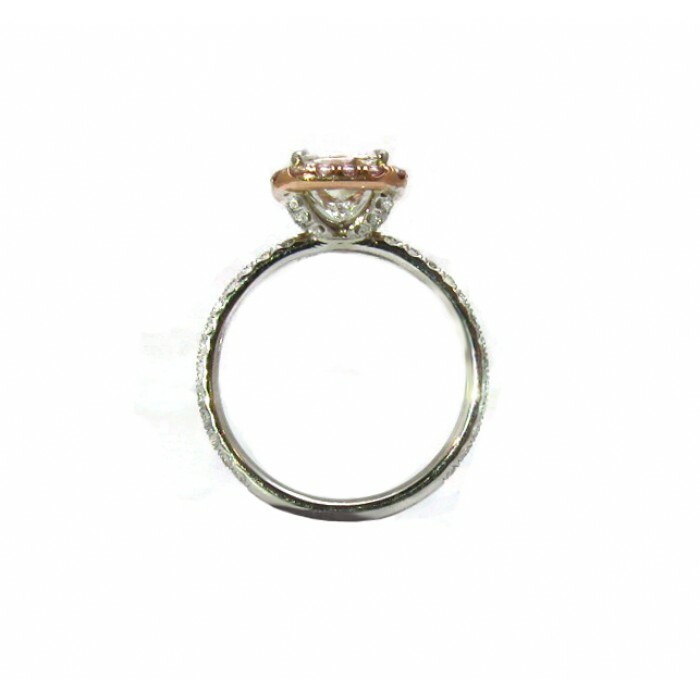 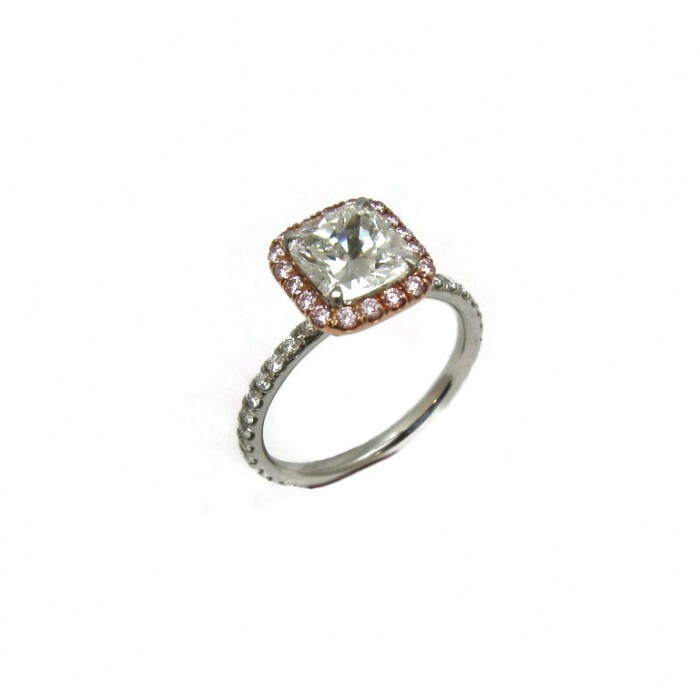 White diamonds further adorn three-quarters of the circumference of the shank. 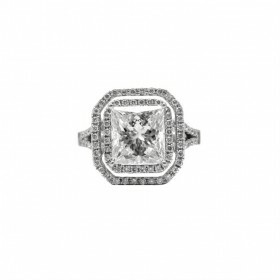 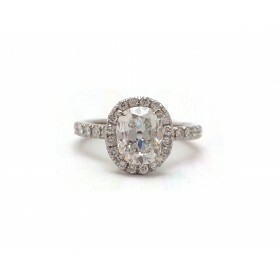 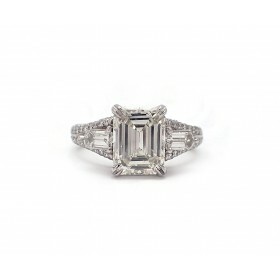 This engagement ring is guaranteed to be a conversation starter.